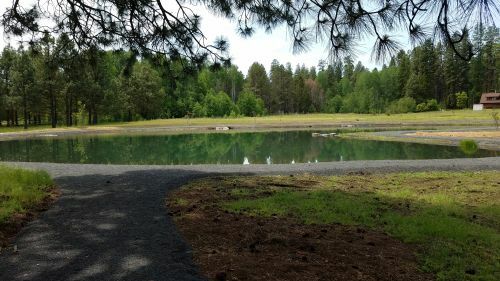 CAMP SHERMAN, OR -- Central Oregon’s newest youth fishing pond opens Wednesday. 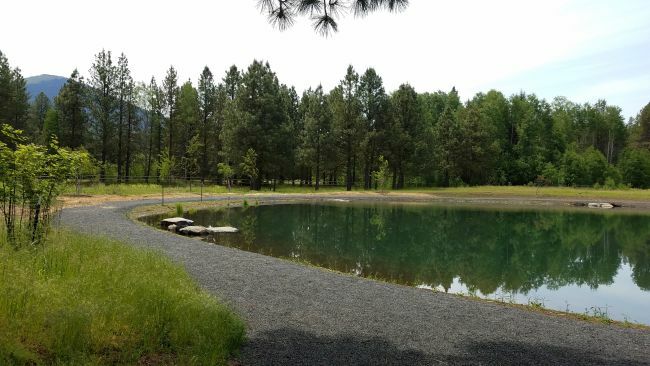 Jennifer Luke, with Oregon's Department of Fish and Wildlife, says Metolius Pond is at the site of an old fish hatchery that hadn’t been used since the 1960s. "We had this 15 acres and we decided this was a great location to put a youth fishing pond. It’s a very scenic spot; a good water source, right there on the property." She admits the project took a long time, because they had to remove some of the equipment left over from the hatchery and create a whole new pond, "We had to dig the pond out, we had to get the water source for the pond; even the Oregon Department of Fish and Wildlife had to do all sorts of permitting for the pond, as well. It’s been in the works for probably five years, now." She says it’s very similar to Shevlin Pond, in Bend, "Kids 11 and under do not need a license, but if they’re 12 and older they’re going to need a youth license for $10. You can buy those online or the Camp Sherman Store." Adults with a disabled fishing license are also allowed to fish the pond. "We have a two-fish limit. We’ll keep an eye on it and stock it, I’m guessing it’ll be once a month, depending on how much gets fished." Despite its remote location near Camp Sherman, and the fact that there are no signs for the new pond yet, Luke says anxious young anglers are already checking it out, "We’ve had people showing up at the gate; the fish are in there and everything is ready to go." Metolius Pond is about nine miles west of Sisters. From Highway 20, take the turn to the Metolius River Recreation Area, veer left at the fork, towards Camp Sherman. Then, follow the signs for old Fish Hatchery Road, drive to the end and through the gate into the parking area. It's open dawn til dusk, seven days a week.